Gov. Jared Polis unveiled the image, modeled on the design of the state flag, to reporters Tuesday at the state Capitol. 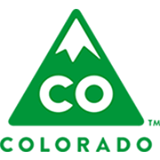 "In an effort to promote everything Colorado has, and using the tools we have in the state, we want to provide a fresh representation of the state brand," said Polis, wearing a beanie with the new logo. This Colorado logo is being replaced with a new look. The new logo replaces the green snow-topped triangular mountain that debuted in 2013 at a cost of $2.4 million. Polis said the new image was developed internally at no additional cost and has been used by the state's economic development office to promote Colorado for over a year. The governor said the new image better represents the whole state and will be phased into use as materials with the old logo need to be replaced.